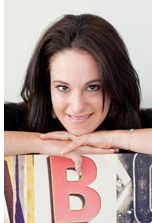 Tiffany Markman is a highly opinionated freelance copywriter, copy editor and writing trainer who has worked for over 180 clients in South Africa and across the world. She is an EMPOWERDEX-certified EME who hates misplaced apostrophes and dangling modifiers but loves pizza and pina coladas. Tiffany Markman is a freelance copywriter, editor and writing trainer who works for diverse clients, large and small, in South Africa and overseas. A five-time published author, she specialises in web (SEO) copy, corporate collateral, marketing material, training material, brand campaigns, speeches, scripts and other media. In her spare time, she sits on the executive council of the Southern African Freelancers' Association (SAFREA), where she heads the training and mentoring portfolio; is a member of the Professional Editors' Group (PEG); and acts as a trustee on the boards of various industry and community organisations.